Sole Academy. Similar to their previous Yeezy raffles, Sole Academy will be offering the shoe via an in-store raffle. By purchasing any item from Sole Academy or Sole Mini from July 5 (11am) to July 6 (8pm), this entitles you to a raffle entry. You can have multiple entries, but you can only win once. For more information to their raffle, click here. Commonwealth. Commonwealth is also conducting an in-store raffle. Purchase any item from their Aura or Greenbelt store from July 4-6 entitles the customer one (1) raffle ticket. Do note that you can only have 1 entry to the raffle. Make sure to drop your entries at the drop box located by the SM Aura Samsung Hall. Deadline of submission of entries are at 10pm July 6. For more information, click here. adidas Originals Neighborhood (Uptown). If you don’t want to join the raffle at the stores mentioned, you’re free to line up on Saturday morning beginning 6am. Make sure to bring a valid government ID or else you lose your position in line. Here are the mechanics of the classic line up at the Uptown store. adidas PH Online store. The Yeezy 500 “Utility Black” will also be available via the adidas online store (http://adidas.com.ph). Make sure to sign up for updates but the shoe will be available by 2pm on Saturday. For mechanics of the online release, click here. If all else fails, you can check out the store list shared and try all the other official stores listed. 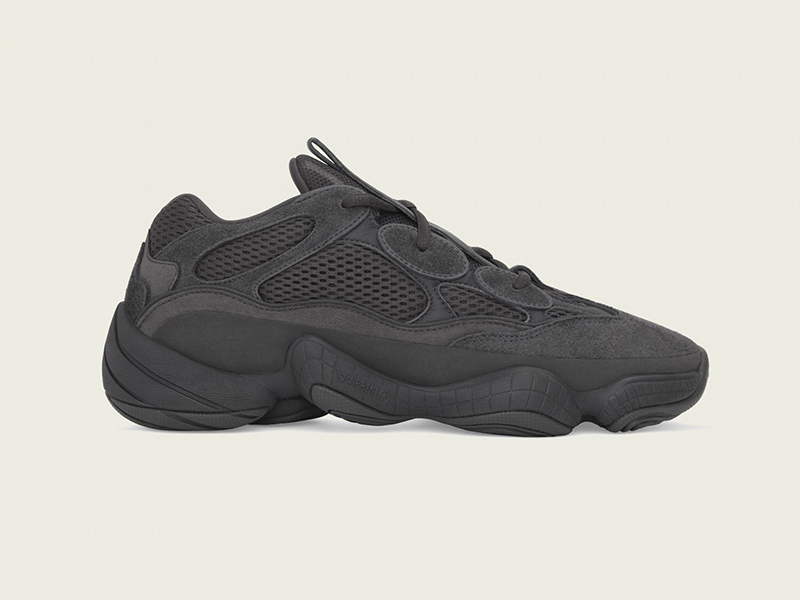 Buy the adidas YEEZY 500 “Utility Black” from official stockists to limit the risk of buying fakes.